Terrance Alan has over 25 years of experience helping businesses navigate government bureaucracy. In that time he has created numerous small businesses, Political Action Committees, Governmental Commissions, Trade Associations, and has written and passed multiple pieces of legislation. Most recently, he was the Chair of the California State Legalization Task Force which advises San Francisco on implementation of legal cannabis under Prop 64. As Task Force Chair, he helped write the report that formed the basis of San Francisco’s permitting of legal cannabis. His career in cannabis began in 1992 when he was arrested for growing medical marijuana for himself and his dying lover. His arrest was an early test case of San Francisco Prop P (which directed the SF police department to allow medical use of cannabis). In 1996, after the passage of Prop 215, Terrance helped found the nation’s first non-profit dispensary, CHAMP (Californians Helping to Alleviate Medical Problems). In 2000, Terrance began advocating for a new regulations for San Francisco’s entertainment industry and in 2002 he helped create the San Francisco Entertainment Commission and was its first Chairman. In 2009, he founded the California Music and Culture Association (CMAC), a nonprofit business association for the entertainment industry. In 2014, Terrance joined with Matt Kumin to found California Cannabis Voice, a statewide Political Action Committee (PAC) with Chapters they formed throughout California. In 2016, Terrance and Matt helped organize the passage of Humboldt County’s Medical Marijuana land Use Ordinance. 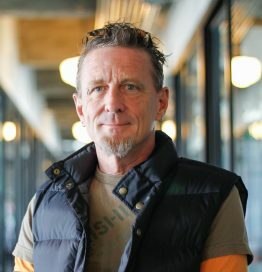 He currently the chair of the SF Chamber of Commerce Cannabis Working Group, an advisor to the newly formed San Francisco Cannabis Retailers Alliance, Crop2Kitchen, a cannabis cuisine and beverage advocacy group and CEO of Café Flore in the Castro. Terrance’s vast experience with government regulation of cannabis and other businesses forms the basis of his support of clients attempting to operate under the complex body of law created by Prop 64.